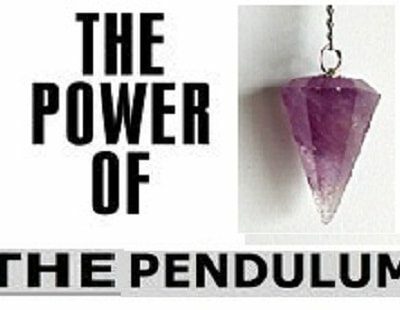 The Harmonic Generator Pendulums are the next creation designed exclusively for Peacefulmind.com by renowned physicist, Dr.Guo-Yuan Yang. A one of a kind beta stone generator essentially “programmed” to create attunement with our highest consciousness. To bring its owner into a harmonious or responsive relationship to the alpha waves of the brain using nonlinear optics. Nonlinear optics (NLO) is the branch of optics that describes the behavior of light in nonlinear media, which the dielectric polarization P responds non-linearly to the electric field E of the light. Two lasers are used in this process. A pulse laser and a driving laser. High harmonics are generated from a pulse laser with pulse duration shorter than that of the driving laser. This is due to phase matching and ionization. High harmonics are emitted co-linearly with the driving laser in a 6 sided polygon shaped crystal or a 12 sided polygon (or 12-gon). Why a polygon shaped crystal? This prism is a geometric solid that has 6 or 12 faces and are extremely stable. It is able to organize and stabilize light (and intention) projected into it. This type of crystal controlled oscillator produces an output rich in harmonics (overtones or multiples) of its fundamental frequency. The lowest-frequency (and highest-intensity) mode of the Schumann resonance is at a frequency of approximately 7.8 Hz. This particular frequency just so happens to be associated with the Alpha waves in our brain, which are most associated with our meditative state. When your alpha is within normal ranges we tend to also experience good moods, see the world truthfully, and have a sense of calmness. 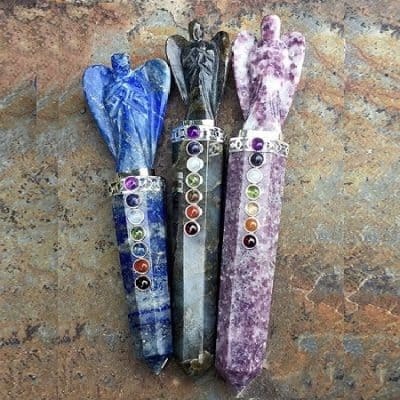 These correlate to our highest Chakra consciousness levels of magenta and violet, hence the colors of the crystal. 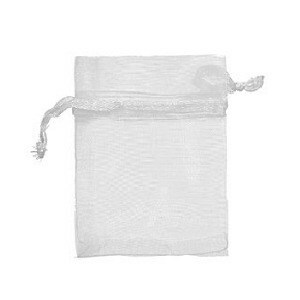 This process creates entrainment with ourselves and the crystal. Entrainment is the tendency of two oscillating bodies to lock into phase, so that they vibrate in harmony. The principle of entrainment is universal. Appearing in chemistry, pharmacology, biology, medicine, psychology, sociology, astronomy, architecture and more. The classic example shows individual pulsing heart muscle cells. When they are brought close together, they begin pulsing in synchronicity. 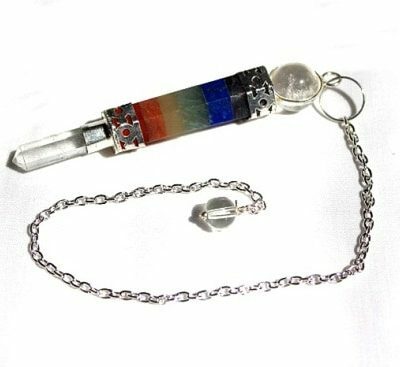 These great pendulums are either 6-sided or 12-sided with a silver chain that has a tumbled clear quartz nugget or clear quartz bead at the end. 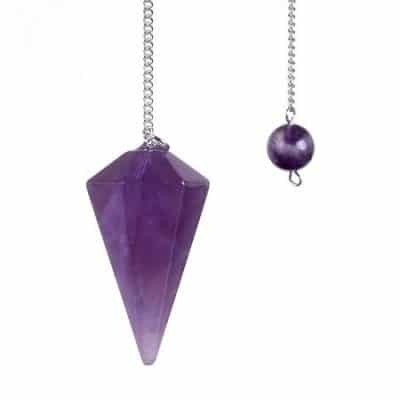 The pendulums measure about 7″ long with the gemstone itself measuring approximately 1.5″-2″ long. Some pendulums may have a flat top and the chains vary. 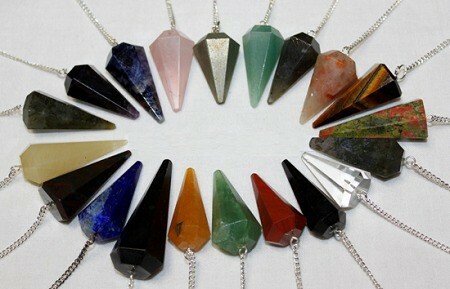 Choose from: amethyst, clear quartz, lapis lazuli, blue aventurine, bloodstone, labradorite, rose quartz, moss agate, obsidian, red, yellow and green aventurine, black tourmaline, milky quartz, vezuvianite, moonstone, sunstone and red jasper.